Thus cajoled and persuaded in an iron-hand-in-a-velvet-glove manner, I meekly agreed for a late-afternoon lunch. What impressed me first and foremost is the decor of the cafe. It is painted a subtle, happy yellow that makes the place looks bright and sunny. Large windows look out to the tree-lined lane outside and the uncluttered, chic look, subtly accentuated by cunning bric-a-bracs like money plant creepers hanging from clear light-bulbs, little tea-candle holders made of coloured glass, make you feel relaxed, and at-home. Although a printed version is available, the daily menu is written on a blackboard, bistro-style, which I immediately liked! The highlight of the cafe is a beautifully done-up corner- with a full-length mirror, wooden bench and a vintage studio-style lamp, that’s aptly named as the ‘selfie-corner’. Whether you’re enjoying a relaxed, solo lunch or hanging out with your friends, it’s the perfect spot to capture your mood in a selfie. We settled down in a corner table by a window and ordered our drinks- a ‘sinless mojito’ and a ‘cool rita’, both being perfect summer quenchers- delicious, tangy and not-too-sweet. The salads in offering were the ‘Moroccan shrimp salad’, ‘Kabuli salad’, ‘Summer greens salad’, ‘Mediterranean salad’ and the ‘Italian surprise’. The Italian Surprise was fantastic! Fresh, handpicked tomatoes stuffed with crumbly feta cheese with a sprinkling of parsley and a drizzle of olive oil- it’s a perfect example of the culinary feat that can be achieved when you blend the freshest of ingredients with an innovative presentation. The crunchy, tangy freshness of the tomatoes is nicely offset by the crumbly, salty feta and the combo of olive oil and parsley beautifully enhanced the flavour, making for a dish that promptly flew of the plate! The Summer Green was a light-as-air, fruity salad that was a treat for the eyes as well as palette. It offered a delightful, fresh crunch with lettuce, cucumber and apples mixed with sweet pomegranate and tart olives, all lightly bathed in a tangy French dressing that added just that right amount of ‘Ooh La La!’ in this delicate summer salad. The Mediterranean salad offered the same note as the Summer Green, using cherry t omatoes, colourful bell peppers, lettuce and feta to create another lightweight, delicious summery concoction. I fell in love with the Moroccan shrimp salad at the first sight! It was a medley of colours, with brightly coloured bell peppers and fresh, lightly-steamed pink shrimps peeping out from a bed of couscous! The yummy taste and flavours popped in my mouth with every mouthful and was like instant food Nirvana! A zest of lemon enhanced the nutty after-taste of the dish and left me craving for more. The Kabuli salad took me by surprise with its taste and presentation! Imagine an exquisitely-crafted ‘alu kabli’ of sorts, with ginger juliennes and shredded chicken to up it’s irresistibility quotient by a few notches and you can get an idea of the dish. What really impressed me was the freshness of the ingredients, the fact that they were all so light in the stomach, and yet tasted fantastic and were very innovatively done. We tasted the soups next, and let me tell you at the outset that they were absolutely mind-blowing! The soups in Mad Hatter’s simply re-define the standard idea of soups that you get in any outlets in Kolkata serving Continental cuisine. First came the Curry Soup which had the unmistakable Anglo-Indian touch to it. It had a thickish, lentil-based broth, spiked with the flavourfulness of curry leaves and very innovatively studded with firm, fresh apples! Next in line was the Italian Delight which floored me with it’s simple goodness! It was a light and clear soup with a handful of fresh veggies like carrot, zuccinni and bell peppers thrown in. It tasted so good that you will invariably come for a second helping, and it is just the ki nd of soup that will cause your Mom to shed happy tears due to your rapid devouring of the same. I loved, loved, loved the Simple Fish Soup that we tried next. It is exactly that- a simple fish soup with a light, clear broth delicately scented with coriander and lemon, with little chunks of white fish in it. It is incredibly toothsome! The other soup that made my heart sing a song was the Mushroom Delight. It is a simple Cream of Mushroom soup, that tasted something like heaven! I have tasted various renderings of this soup all my life, and this is probably the best one that I have had. Yes, it is THAT good! The food in Mad Hatter’s has one ethos- the freshest ingredients, simply but expertly concocted, always make food that is classic in its elegance. They also have a range of gourmet burgers as their seasonal specialities- an offering that has been expertly curated by their chef from Houston, TX, which are a totally different experience from the run-of-the-mill burgers that you get everywhere in the city. If you love fresh, healthy food that is easy on your tummy and heart, but is addictive in its deliciousness, you have to give Mad Hatter’s Bistro a try! It is the perfect eating out option for Kolkata summers. Go hang out with your friends, or take your kids out for a treat, I’m sure you will keep coming back. Do check out the place and drop me a line in the comments section to let me know how you liked it. Thank God for Tea! What will the world do without Tea! “I say let the world go to hell, but I should always have my tea.” – is what sums up my mood exactly at any point during the day. It’s the elixir that keeps me, and many others going. The Brits too, for that matter of fact… Tea is almost a ritual for them. Thus it was an almost surreal moment when Atreya from First Idea PR invited me along with a group of other blogger friends for a session of Tea Testing at a place called Karma Kettle. The Karma Kettle is promoted by the owners of the beautifully scenic Cochrane Place in Kurseong. I have had the privilege of staying at Cochrane Place and have loved the ambience and also the loving way in which they present their tea. It was at Cochrane that I first had my lemongrass tea and trust me, those who haven’t had that…are just missing an elixir. Karma Kettle is very conveniently located in Ballygunge – Swinhoe Street to be exact. The beautiful seating arrangement outside is going to be a delight when the weather cools down and the interiors too are absolute gems. In the tea testing session we had around 20 types of tea, amongst which we tried some of the eternal favorites like the Darjeeling and various types of that, or the Tea Sticks; which are all the rage now and also something Tisane ( pronounced as ti-zahn) which are not tea but beautiful herbal concoctions. Tisanes are without any doubt healthier to an extent as they do not contain caffeine. I am going to talk about the couple of tea tastes which got me hooked and which I am going to go back for and make into a lifelong habit. Amongst the slightly known to non-connoisseurs like me were the Darjeeling First Flush, produced in February from the abode of Gods, Darjeeling; where the weather is perfect and the soil gives that perfect tone of astringency which is exquisitely balanced between sweet and a mellow note. I personally loved and highly recommend the Himalayan Moonshine, which is the second flush. The name comes from the fact that its plucked only during full moon and the leaves look like slivers of the silvery moon. It had a slight lemony flavor upon sipping. The Maya was truly illusory and had a distinct chocolaty flavor to it, having bits of white chocolate, dark chocolate and butterscotch in it. We came back to the lemongrass flavor with the tea called Great Wall. The Longjin tea comes from China and has the lower notes of lemongrass, musk melon and lychee. The tea tasted luscious and left a beautiful after-taste. The other blend which I am going to go back to is the Table Mountain. It is essentially a mixture of ingredients mostly found in the African Sub continent, like the Rooibos, Liquorice amongst numerous others and having a Vanilla top note. It is a caffeine free variety. Santorini, with its delectable Mediterranean flavor also caught our collective attention. It had the distinct notes of Oregano, Rosemary, basil and peppermint which were immediately recognizable to our olfactory tracts. Some of The other extremely interesting and musically named teas that we had were – Shanti, Gulmarg, Travancore etc. We downed these delectable brews along with some delicious red velvet cupcakes, homemade sandwiches with chips and other tid bits. The premises also houses Ivy House, which in the true legacy of Cochrane Place is a home away from home for the weary travelers. So those looking for some shanti, which is actually maya and an illusion… do drop in to Karma Kettle and enjoy moments of solitude or have a heart-to-heart with friends! The delectable, refreshing and delicious teas are available as gift packs and boxes too. সত্যি করে বলুন তো কোন দুটো জিনিসের কথা প্রথমেই মাথায় আসে? আমি জানি – নাইটি আর বিছানার চাদর ! অন্য আরো অনেক কিছুই কেনা হতো – কনিষ্ক থেকে ছাপা শাড়ী, নারী সেবা সংঘের সুতির ফ্রক, খাদি গ্রামোদ্যোগ থেকে পাঞ্জাবি; কিন্তু চৈত্র সেলের কেনাকাটা বললেই মনে আসে বিকেল চারটের ঠা ঠা রোদে গড়িয়াহাটের দুই ফুটপাথের এমাথা থেকে ওমাথা জুড়ে ঝুলে থাকা রাশি রাশি নাইটি আর শ’য়ে শ’য়ে বেডশীট, বেডকভার, বালিশের ওয়াড় ! আর ভিড় ! সেই ভিড় ঠেলে যে না ঘুরেছে তাকে বোঝানো যাবে না সে নিদারুণ অনুভূতি ! সারা কলকাতা ভেঙে পড়েছে সম্বচ্ছরের বাড়ির জিনিসপত্র একটু সস্তায় কিনে নিতে | দরদর করে ঘাম গড়াচ্ছে কপাল বেয়ে, মুছে নেবার জন্য হাত তোলার ফাঁকটুকু পাওয়াও দুষ্কর; নদী নামছে ঘাড় বেয়ে, পিঠ বেয়ে… তবু যেতাম, মা-র সাথে, দিদুনের সাথে – জেদ করে, ঘ্যানঘ্যান করে, লোকের কোমরের চাপে চিঁড়েচ্যাপ্টা হতে | বুক ধুকপুক আশা, ফেরার সময় পেতে পারি নির্মল বুক এজেন্সির “ভয়ঙ্কর শিকার কাহিনী”, এক কৌটো মিষ্টি সুপুরি ( এখন অবিশ্বাস্য মনে হলেও একটা গোটা দোকান ছিল মিষ্টি সুপুরির, গড়িয়াহাট মোড়ের কাছেই ), একটা ভ্যানিলা আইসক্রিম কোন ! আজকাল এই যে সব জিনিস আমরা অনলাইন কিনছি, শাড়ী-ব্লাউজ থেকে শুরু করে পর্দা-বালিশের ওয়াড় পর্যন্ত, তাতে কি এই ভিড়টা কমেছে ? একটুও ? মেন পয়েন্টে এসে গেছি, গুরু ! বাঙালির উৎসব মানেই জম্পেশ খাওয়া দাওয়া ! তারওপর যেহেতু পয়লা বৈশাখ-এ আর বিশেষ কিছু করার থাকে না, তাই পুরো চাপটা এসে পড়ে একটা “কথা হবে না, বস” টাইপের মেনু নামিয়ে দেবার ওপর | দোকানের হাতছানি তো আছেই – ভুরিভোজ, মহাভোজ, কব্জি ডুবিয়ে খাওয়া, বনেদি বাড়ির খাওয়া, ঘরোয়া খাওয়া দাওয়া ইত্যাদি ইত্যাদি; আজকাল আবার সোশ্যাল মিডিয়াতে পোস্ট দেখে চোখ কপালে ওঠে ! “কর্তার জন্য নববর্ষের স্পেশাল মেনু বানিয়ে ফেললাম…” “বৌকে চমকে দিতে পয়লা বৈশাখের লাঞ্চ..” “নতুন বছরে বন্ধুদের সাথে খাওয়া দাওয়া…” – চার রকম মাছের পদ, মুরগির দুইরকম, তার মধ্যে একটা আবার ইতালিয়ান ! বাড়িতে বানানো মিহিদানা, ক্ষীরকদম, tiramisu, blueberry cheesecake ! অবাক করলি ভাই, কচি কচি ছেলেমেয়েগুলোর মধ্যে এত গুণও লুকোনো আছে ! আমজনতা বাঙালির পাতে পোলাও একটা থাকেই, একটু মিষ্টি মিষ্টি, পাঁঠাও চলে তবে মাছের আদরই বোধহয় বেশি, অন্তত আজকের জন্য | এরপর কাঁচা আমের চাটনি ( seasonal fruit বলে কথা ), পাঁপড় থাকলেও থাকতে পারে, এবং মধুরেণ সমাপয়েৎ | নববর্ষ স্পেশাল এক খিলি পান বা একটুকরো মুখশুদ্ধি মুখে ফেলে, একটা ফুরফুরে মেজাজের বই নিয়ে, কোলবালিশটা টেনে বিছানায় কাত | অচিরেই নিদ্রাদেবীর শুভাগমন ! নববর্ষ কেটে যাবে অথচ রামকুমার চট্টোপাধ্যায়ের গলায় পুরাতনী গান শোনা যাবে না, এমনটা হতেই পারতো না | দূরদর্শনের সাদাকালো পর্দায় সাদা আল্পনার ওপর কলসিতে সাজানো রজনীগন্ধার গুচ্ছ ঘিরে রসিকজনের মজলিশে মধ্যমণি হয়ে বসতেন, মুখ খুললে বেনারসি জর্দার গন্ধটা যেন নাকে এসে লাগতো – টপ্পা, ঠুংরি, নাটকের গান, মাঝখানে মাঝখানে নিজেদের ব্যক্তিগত অভিজ্ঞতার গল্প ! এখনো হয় টিভির নানা চ্যানেলে, যোগ্য উত্তরসূরীরা আছেন, আড্ডাও ভালোই জমে, তবে বড্ড টানাপোড়েন যায় ! এদিকে শ্রীকুমারবাবুকে শুনতে গিয়ে ঐদিকে অজয়বাবু মিস, অনিন্দ্যর কথা শুনতে গেলে স্বাগতালক্ষী বাদ ! বাকিরা কে কি দেখছে কে জানে বাবা ! মনোবৈজ্ঞানিক চাপে থাকতে হয় ! I was really in a dilemma whether to write this in Bangla or not. Bangla is an emotion and is THE language to write in, when it comes to write about the Bangla New Year or Noboborsho. But then I thought that there just might be some non- Bongs who, if we are lucky enough; might just be following or reading our blog! 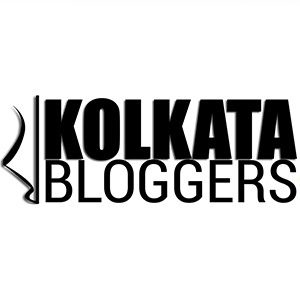 Bolstered with that ego boosting thought, I sat to pen down my two cents on Nobo Borsho. In Bangla we have a proverb – Baro Mash e Tero Parbon, broadly translated as too many festivities in a dozen months. Amongst all these Nobo Borsho or Poila Baisakh is an extremely important one. The Bangla New Year starts from the Poila or the 1 st of the Baisakh Month which is 14 th or 15 th of April. I will of course not go to the historical when’s and how’s of Noboborsho, but just ramble about our earliest memories of Poila Baisakh. When we were young, and when the families hadn’t really become nuclear; the day would be preceded by almost a month long activity. It was an occasion which required new clothes for every member of the family. So shopping would be done meticulously and for the whole family. The day would begin with everyone waking early and having a bath to wear the new clothes. Us, the younger lot would touch the elders’ feet and seek blessings. This was a day when the menu would be elaborate at home. The 80s and the early 90s had not seen this tremendous influx of eating out on Poila Baisakh and neither the Restaurants also laying out special Poila Baisakh Menus. Thus, it would still be the Ma and the Thakumas toiling at the kitchen and producing some lip smacking Bangali khabar. Apart from the excitement of new clothes and Basanti Pulao and Ilish Maach and Mangsho; another highlight of Noboborsho was the Halkhata. Anyone who remembers what a Halkhata is? This was the auspicious day when the shops would usher in their new financial year and invite their regular patrons and a new account would open. It was almost a tradition for the Ginnis or the matriarchs of the house to go out for Halkhata in the evening and come back with a lot of Bengali calenders, tightly rolled up and packets of complimentary sweets. The calendars would mostly have Ma Durga, Radha- Krishna, Ganesh, Kali or Swami Bibekananda, Paramhansa and other eminent personalities and the small squares would have symbols such as half moon, full moon etc signifying Purnima, Amabashya and so on and so forth. Noboborsho also meant Prabhat Feris. The minstrels would start the day musically, singing songs such as ‘Esho He Baisakh” and other songs. Gone are those days when the Para clubs and the Kakimas or the Didis proficient in Rabindrasangeet would teach us songs such as Phoole Phoole dhole dhole and make us walk through our locality singing these, while that boy would look on!!!. The times kept changing and the years went by and we grew up. We still buy new clothes, but from the swanky malls. We still eat a lavish Bangali spread, but from the Bengali specialty restaurants. We still listen to Esho He Baisakh; but in TV channels like Tara, Channel 7 etc and hum to ourselves to satiate our cultural propensity. Tomorrow is the beginning of another New Year. Tomorrow is the beginning of another 365 days. Tomorrow is Noboborsho. Tomorrow we usher in 1424. Let this Noboborsho be a year of new beginnings. May this year be one of fulfillments, one of contentment. May all that you aspire for come true. Shubho Noboborsho. Bochor bhalo katuk. Malyasian Palm Oil and it’s 100th Year! To be honest, the first and last I had heard of Palm Oil was when I was very very young. There was a major furor regarding the ill effects of Palm Oil. That dissipated and that was it, till decades after decades later, I received a call from a beautiful voice enquiring if I would like to join an event on a Sunday afternoon talking about…. Palm Oil! I was fairly skeptical and was actually in a dilemma to be or not to be. Anyway, seeing a lot of friends and renowned fellow bloggers agreeing to attend the event; I followed suit. I wasn’t disappointed. This event was organized by the MPOC( Malaysian Palm Oil Council) commemorating their centenary and was meant to spread an awareness about Palm Oil and was held in Barbeque Nation, Park Street. The MPOC is a non-profitable organization that propagates the benefits of Palm Oil and does the marketing activities necessary for creating a favorable brand image. Apart from Malaysia and south eastern Asian countries, Palm Oil is widely used in countries such as Africa, and also in Brazil. Derived from the flesh of the fruit of the oil palm, according to MPOC, it prolongs the shelf life of all cosmetic products and is a must for few edible products as well. According to researched it has also been proven that the Palm oil is cholesterol free and lowers the bad cholesterol in the body. The session began with Priyanka ushering us in and Bhavna Shah navigating us through the labyrinthine history of Palm Oil. How and when it was planted and what are the usages and that it may have been sabotaged by the Western Media. Post the information session provided by Ms Bhavna Shah, the bloggers participated in a clue and treasure hunt activity and in turn visited Mocambo, Oasis and Trinca’s. In between there was a game where the bloggers blindfolded had to taste a dish and list the ingredients . Upon reaching Trinca’s, each team was given the task of preparing a salad, garnering ingredients laid out on the table and were judged on the basis of taste and presentation by the Chef and Ms. Bhavna Shah. Post this all the tired yet gleeful bloggers sauntered their way back to Barbeque Nation . The next and the last segment of this fun afternoon was darting. The teams had to throw a dart and accrue points. I failed miserably! The best team won and there were photograph sessions with funky accessories and placards. Last but not the least was the amazing lunch from Barbeque Nation , Park Street. Over succulent kebabs ,delicious main courses and delightful desserts; the bloggers bonded and spoke almost a nineteen to a dozen! One thing was a certainty, that Six Sigma and MPOC had organized a delightful event and an afternoon. We look forward to more such events which are informative yet fun-filled.